U.N. scientists released a report in which they conclude man-made carbon emissions released between 2012 and 2013 were higher than in any other year since 1984. If this trend is set to continue, the planet will reach a tipping point where global warming will become an irreversible phenomenon that could cause enough sea level rise, drought, and severe weather to significantly harm human populations across the globe. 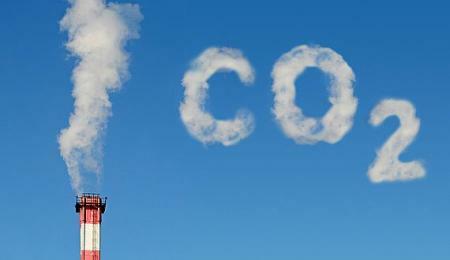 The annual Greenhouse Gas Bulletin report released by World Meteorological Organization’s (WMO), an United Nations weather agency, describes an increase of atmospheric CO2 from 2012 to 2013 of 2.9 parts per million (ppm). This puts global average CO2 in the atmosphere at 396 ppm or just nine points away from 405ppm – a threshold some scientists believe could spark irreparable damage to the environment with grave consequence for human society. At 405ppm (some believe 450ppm is more realistic), the planet might enter a slope where global average temperatures are projected to rise 2°C above preindustrial levels; we’re currently seeing a 0.8°C increase. To mitigate this risk, researchers have convened that average CO2 atmospheric concentrations should be stabilized at 350ppm, which means we actually need to pull out carbon from the atmosphere using various methods, like carbon sequestration. It’s worth considering that CO2 isn’t the only greenhouse gas that’s been increasing considerably, contributing to global warming. Methane, a molecule that is roughly 30 times more potent than CO2 at trapping heat, is also on the rise in the atmosphere. Atmospheric methane reached a record high of about 1824 parts per billion (ppb) in 2013, most of which is believed to be sourced from natural gas production. In time, however, if no steps are taken to curb CO2 emissions around the world, atmospheric CO2 levels are expected to rise at an accelerated pace even if emissions remain constant. That’s because more than a quarter of CO2 emissions get absorbed by the world’s oceans which act like a huge heat sink. Like a sponge, the oceans can trap only so much carbon. It’s believed the ocean’s ability to hold carbon is only 70 percent of what it was at the beginning of the industrial revolution. By the end of the twenty-first century, it could be reduced to 20 percent, the WMO said. The carbon sink comes at a heavy price: ocean acidification. Rising pH levels pose a great threat to marine life, especially vulnerable calcifying organisms like coral, algae, mollusks, and plankton. One study found that ocean acidification levels are nearing a maximum that hasn’t been encountered in 300 million years, while another found that at the current rate of development by 2100 the world’s oceans will be twice as acidic than they were in preindustrial times. Will all this doom and gloom, some might ask what’s the point of living in this crazy world anymore. The U.N. researchers, however, end on a positive note: global warming can be reversed if well balanced steps are taken to mitigating carbon emissions.